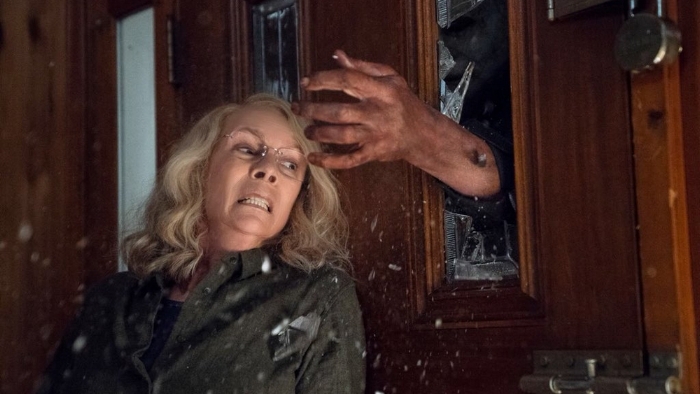 This latest attempt to reboot the Halloween franchise suffers from many of the same problems as its predecessors; it's no longer a groundbreaking concept forty years later and there is still nothing new to be said. The film does have several elements going for it. The somewhat unexpected creative team of David Gordon Green and Danny McBride are known for comedy, and that is definitely felt here, despite them ostensibly playing it straight. Several of the smaller supporting characters seem to be deliberately played for natural low-level comedy and the casting of good actors throughout the film is an obvious departure from previous instalments in the franchise. The main reason that the film doesn't really manage to do anything with its concept is because the concept is still fatally flawed. Michael Myers is a cold and brutal killing machine who has no apparent motivation. This is fine as a one-off but when we've already seen it seven times, you either need to develop something or just stop altogether. That leaves us hanging everything on ol' dependable herself, Laurie Strode, played once again by Jamie Lee Curtis. They make a pretty decent effort here, and Curtis is reliable as ever. They create an interesting development of the character and she comes across as a traumatised, broken down shell of a human being who has consistently ruined her life and her family's lives because of her fear and paranoia. The major problem here is that she has to be ultimately proved right, and all her terrible and damaging behaviour gets justified because of the million to one shot that all her fears come true. She's an inherently unlikeable character (deliberately so) but we still have to be on her side. All those security precautions and she still put sugar glass in the windows. Perhaps it is this unlikeability of our main star that leads the filmmakers to give us a host of other proto-protagonists that ultimately lead to dead ends (often literally). It is an odd structure that seems to be holding Strode off as a side character while establishing several story strands that only serve to deliver brutal murder scenes. And if this film does one thing well, it is brutality. If you want a film about cold-blooded and mindless murder then you are in luck. It's perfect for the character of Michael Myers, but is it entertaining or narratively satisfying? The scatter-shot plot is frustrating to follow and it means we end up wasting the likes of Judy Greer and Will Patton (as is standard procedure in their careers). Michael continues to have a vague and undefined supernatural quality, with super strength and imperviousness to bullets, which is still silly and annoying. There is a sort of attempt at a twist involving the “new Dr. Loomis” character that is badly handled and stinks of desperation to try and make something unexpected happen. The whole thing feels like they had eight different ideas on how to tell the story and decided to use all of them. Ultimately this feels like a solid creative team struggling with over-used material. Do you like standard horror films for purely superficial reasons? Then this might be the one for you.